We Don't Want the Internet Censored, Do We? In protest of the horribly-written, freedom-removing and creativity-curtailing Stop Online Piracy Act and Protect Intellectual Property Act, this site will be blacked out for 24 hours on Wednesday, 1/18/12, to join the protest along with sites such as Reddit and Wikipedia. 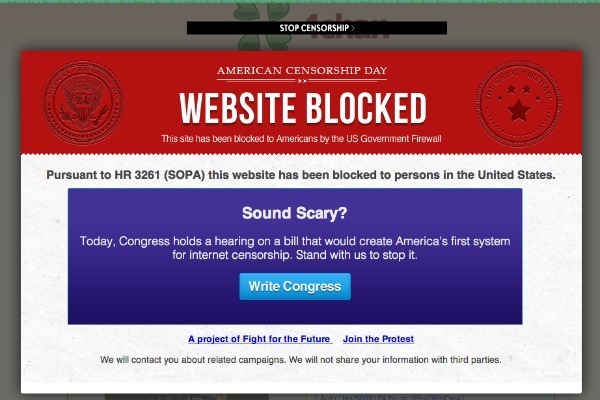 You can read more about SOPA at Wikipedia and The Huffington Post, and you can visit the Electronic Frontier Foundation and Americancensorship.org to write your representatives if you also wish to protest this terrible legislation. Next story Starshatter: The Gathering Storm Goes Open Source!